This keeps getting Stranger & Stranger. 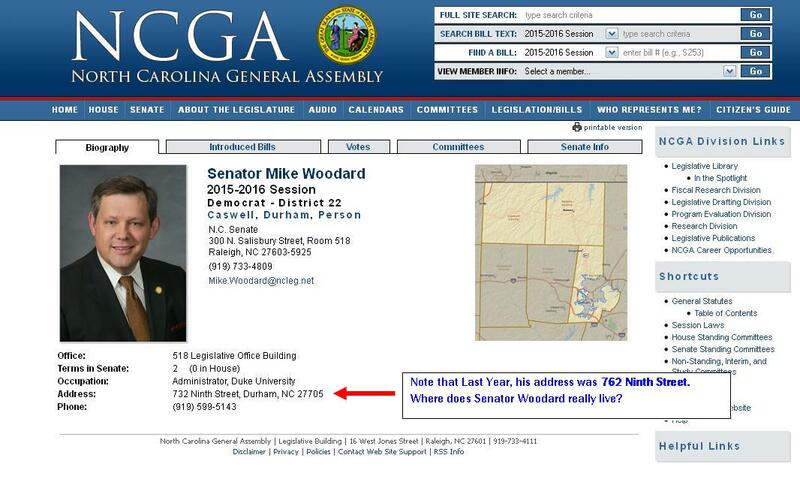 Yesterday I went to check on Woodard’s NCGA page and I see he has changed his address. From a VACANT Building to a commercial zone a half a block up the street. New Screengrabs below. ScreenGrab taken April 1, 2015. Click to enlarge. Where O’ Where does Mike Woodard live? Hummm, this is ODD! 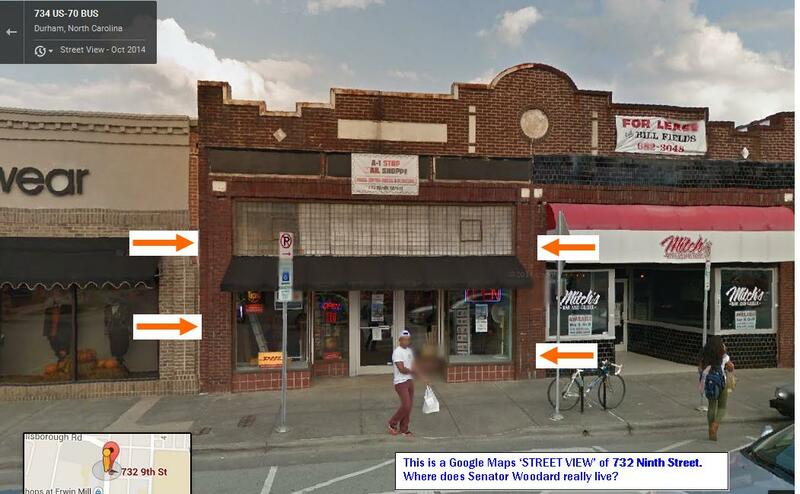 North Carolina State Senator Mike Woodard lists 762 Ninth Street, Durham, NC 27705 as his personal address. Other members of the NC General Assembly list either a P.O. Box or their actual home address. One has to wonder, does Mike Woodard even live within the district that he represents? Screengrab from the NCGA site October 13, 2014. Click to enlarge. 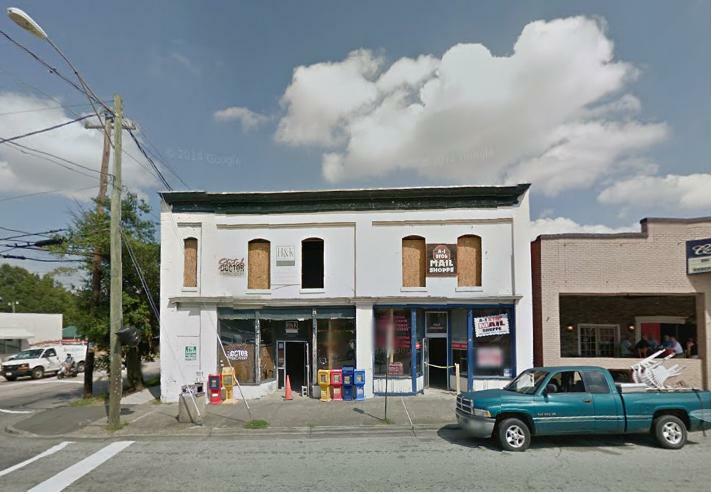 Google Street View Image of 762 Ninth Street. Click to enlarge. Respectfully submitted by SilenceDogood2010 this Fifteenth Day of October in the Year of our Lord, Two Thousand and Fourteen.